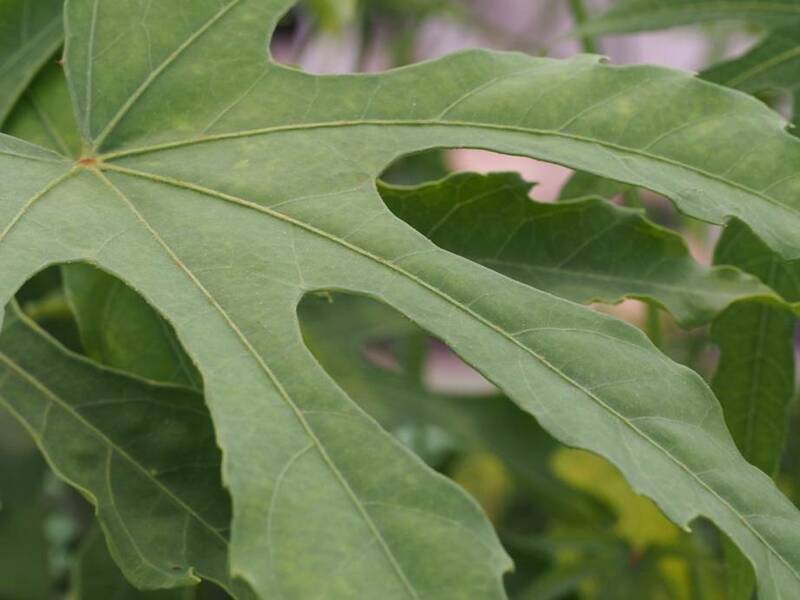 From Taiwan comes this beautiful new leaf form of Fatsia polycarpa. Can be used as a houseplant, but we prefer to use it in the garden to add an accent to the tropical garden. Also good in the greenhouse. For now we keep winter hardiness on moderate to reasonably hardy.